ProPublica is now the biggest news site on the Dark Web. The independent news organization recently launched its own .onion address. The gentrification of the Dark Web continues. Earlier this week, independent, non-profit news site ProPublica launched the full version of its site as a Tor hidden service. 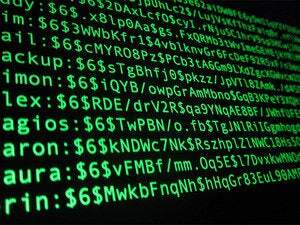 This allows ProPublica readers to access the site anonymously via the Tor Network. 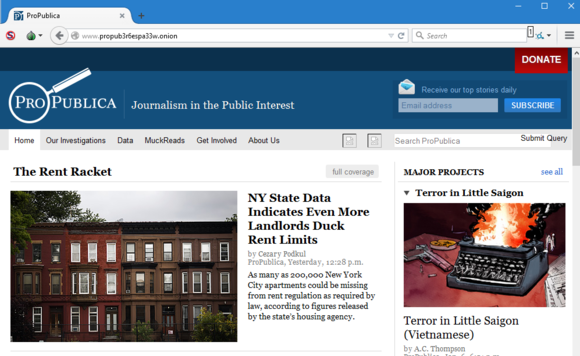 The launch makes ProPublica the largest and first major news site to have a presence on the Dark Web. Unlike ProPublica’s regular site at ProPublica.org, the hidden version of the site can only be accessed via the Tor network at propub3r6espa33w.onion/. The Dark Web version has such a strange address because sites operating as a Tor hidden service must generate an encrypted key pair that determines the site’s .onion address. It’s likely ProPublica had to try generating many key pairs just to get “propub” to show up in the first part of the URL. The impact on you at home: ProPublica told Wired it decided to create a Dark Web version of its site to allow anonymous sources and people who live under oppressive regimes to read their work in relative anonymity. To access ProPublica on the Dark Web, download the Tor Browser—check out earlier tutorial—and then navigate to ProPublica’s .onion address noted above. ProPublica’s main site is the second time the news organization has created a Tor hidden service. The site already runs its own SecureDrop server that allows anonymous sources to submit newsworthy documents while taking a reasonable measure to protect their identity. Many other news services also run SecureDrop servers including the Intercept and The New Yorker. ProPublica’s decision to launch a Dark Web site follows a similar move from Facebook in late 2014. The social network’s work with the Tor project also helped make it possible for .onion sites to obtain SSL (HTTPS) certificates. At this writing, however, ProPublica’s Dark Web site did not have a third-party SSL certificate from a provider such as DigiCert or GeoTrust.